LP and Little Man are at a great age. I know, I say it all the time, but the age they are always at really is the best age ever. But this age – two and a half and four and a bit – is a really great age. You see, neither LP or Little Man slept properly until they were around 15 months old. From then we have just appreciated their new found sleep and have tried to not rock the boat as much as possible. This all changed in April when we spent two nights all sleeping in the same room on a cruise ship – it went so much better than I expected! Since then we have been away quite a few times and the children have more often than not shared a room, Little Man often sleeping in his Ready Bed. A couple of weeks ago I invested in a new Junior Ready Bed for LP and this has started a whole new chapter for LP and Little Man. LP and Little Man now want to use those Ready Beds but not just for holidays but at home too. LP asks regularly if we can have a sleepover and I always say no due to school really – bad sleep before school is no fun for anyone. But at weekends and inset days I have no excuses. So why not? Over the last few weeks LP and Little Man have been loving impromptu sleepovers. 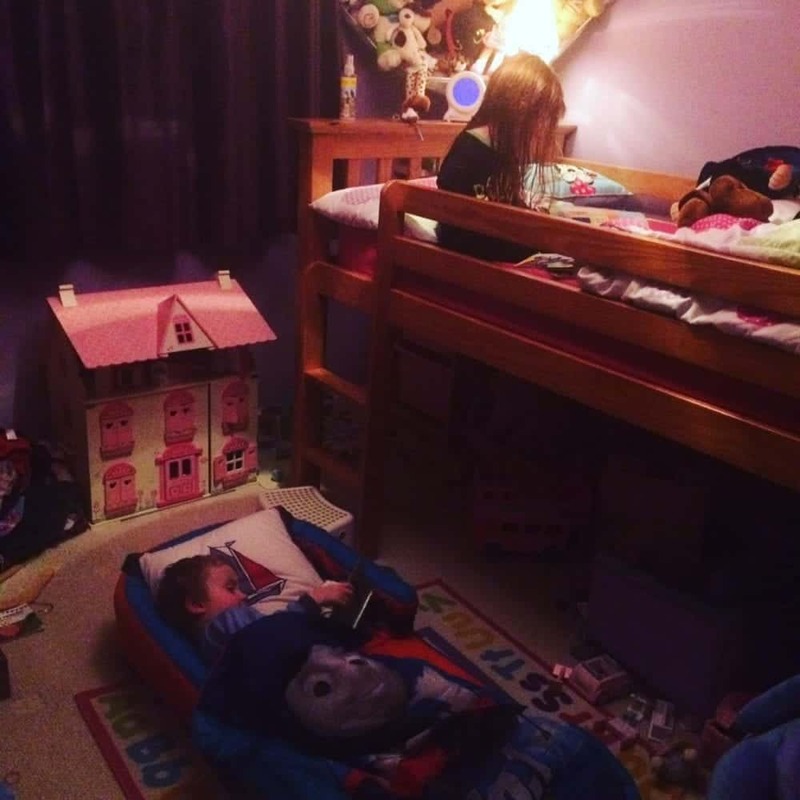 They love sleeping in their blow up beds, with their sibling for company and chatting to each other before going to sleep. Listening to them together on the monitor makes my heart swell and I really love how much they like being together – even when they sleep. Oh that’s so sweet – and says so much about how tight their bond is that they want to be together!